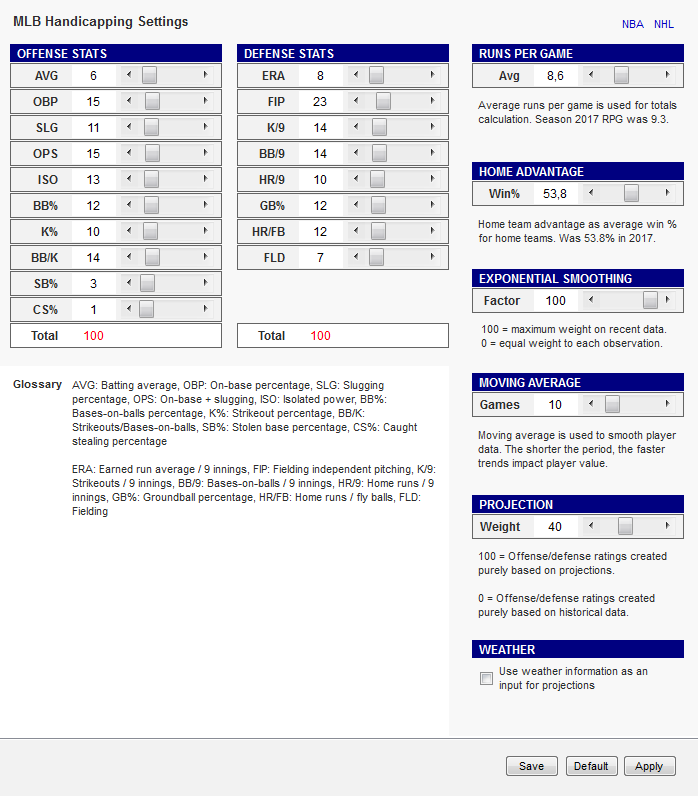 By configuring the settings you can give more/less impact to stats or ratings you believe should have a high/low impact on projection the game outcome. You can also set the default run environment (average runs/points/goals per game) or adjust league average home team advantage. The exponential smoothing factor is a tool to adjust the impact of trends in player performance. The higher the factor the more importance recent data is given in calculating player ratings. Even with the max factor (100) the most recent data point is not given a "too high importance" (to keep things statistically significant).